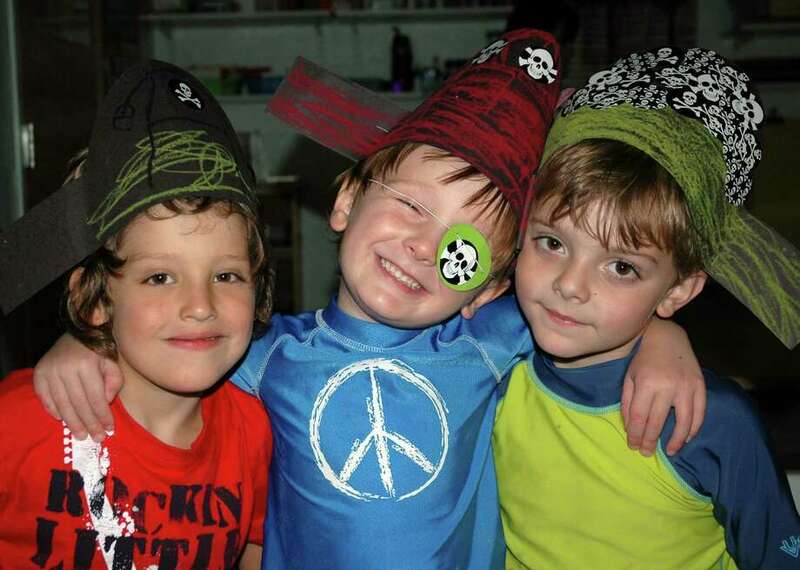 EJ Kollitides, Jayden Grayson and Jack Cudzil pose for a photo at Toddlertime in New Canaan, Conn.
Toddlertime campers recently enjoyed a fun, soggy, swashbuckling good time during Pirate and Mermaid camp. Toddlertime offers weekly summer programs for children ages 2 to 5 through Aug. 2. Future themes include kaleidoscope adventure, creation station, catapults and flying marshmallows, out of the box camp and naked eggs and exploding milk. Counselors are adults trained and experienced in early childhood education. Call 203-972-3111 or visit www.toddlertimens.org for more information. Toddlertime is located at 23 Park Street in the Congregational Church.